Thanksgiving is almost here and it’s time to start preparing for your big feast: Turkey? Check. Cranberry Sauce? Check. Eat’n Park Pies? Check! 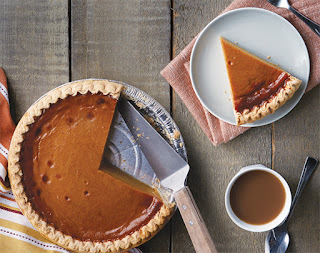 With a wide selection of fresh-baked pies including Oreo Crème, Apple, Pumpkin Crème, and more, we have something for everyone to feast on at your table. For the Thanksgiving Dinner traditionalists out there, our delicious Pumpkin Pie is on sale right now for only $7.99! Did you know that you can also bring home a variety of our bakery items, including our Honeybun Rolls, Muffins, and Gluten-Free Sandwich Buns? And don’t forget everyone’s favorite snack… Smiley Cookies! Click here to check out our Bakery Order Form and see all our available pie flavors and bakery offerings. Then, call your local Eat’n Park to place your pie and bakery order today!